Happy Sunday ladies. For this month's collaboration with Marks & Spencer I thought we'd talk going out out & take a peek at their latest new in pieces that would be perfect for celebrating Christmas & the New Year. Personally I find a simple monochrome palette works best with separates that can be mixed & matched to create lots of looks. So lets jump in with the above scarf neck shirt. A simple timeless piece that's ideal for dressing up or down. For a casual look style with skinny jeans like these & pair with a statement ankle boot, such as these. For something a little smarter then wear with these skinny leg trousers or these effortless cropped cigarette pants & finish the look off with this leather biker jacket or this tuxedo style blazer. 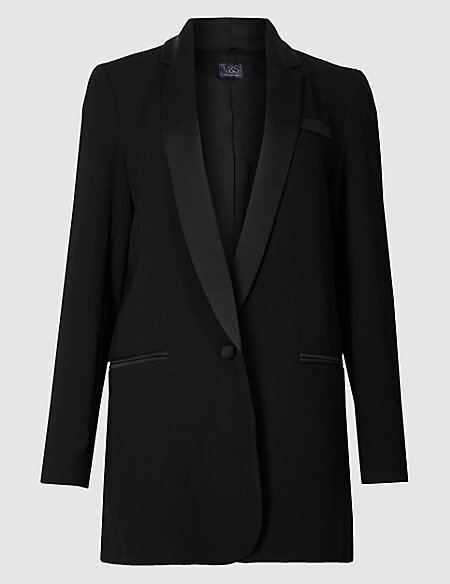 Talking of Tuxedo blazers the above one would make a perfect addition to all wardrobes. 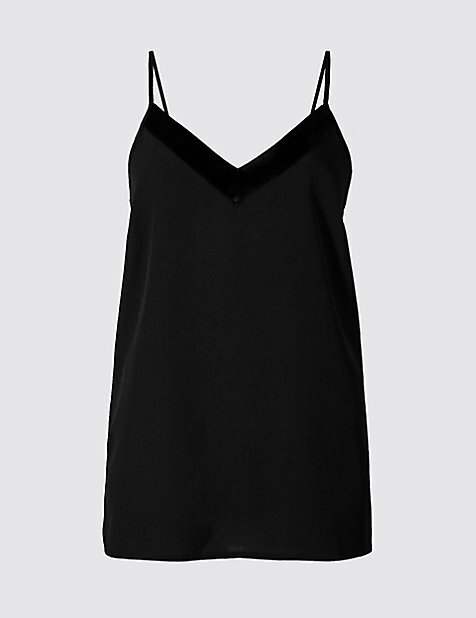 For a night out with your partner or the girls I'd style with the below camisole top. And finish the look off with these statement heels & this leather clutch. Of course a little black dress is a great going out piece of clothing that with the addition of a few different accessories can easily be adapted to whatever the occasion. I'm loving the look of the above animal print wrap dress that's been perfectly styled with some opaque tights & stiletto heel sock boots. Just add this statement clutch & these statement earrings & you're good to go. Alternatively how about the above timeless shift dress. Something that would be ideal for wearing all year round. I love it styled with ankle boots like the ones above, or even these. Pair with a timeless clutch, such as this one & a statement cuff or two to complete the look. Then in the summer wear with a simple flat sandal. 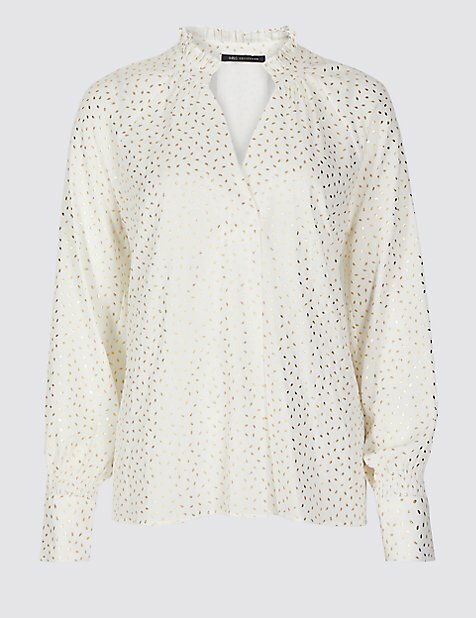 Moving on to the ever stylish silk shirt next. 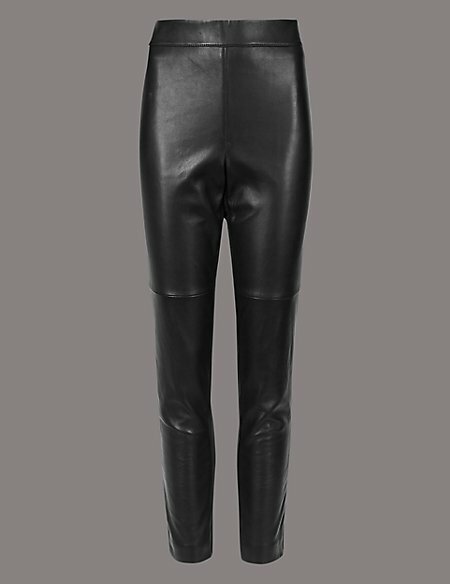 This could easily be styled with these cigarette pants or dress down with jeans similar to these. 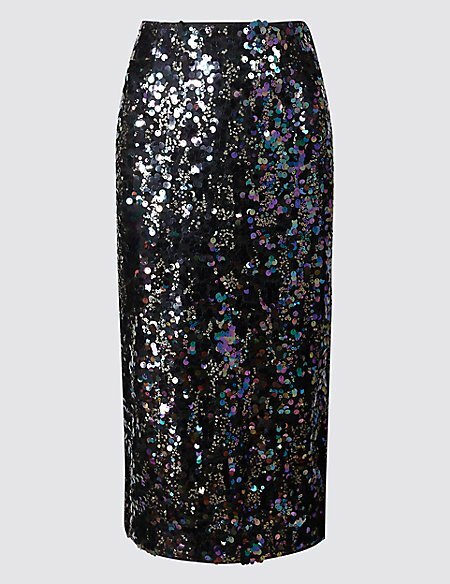 Or equally how about styling up with the below statement sequin pencil skirt. That would equally look great teamed with an oversized knit such as this one or even this timeless cashmere crew neck. If however, you'd rather keep your sequins to your top half then how about this black short sleeved top. Simply pair with these cigarette pants or this pleated maxi skirt, or even this statement midi skirt. Of course you'll never go wrong with a simple going out look of statement blouse, such as the sparkly one above, paired with cigarette pants & a timeless heel such as these. 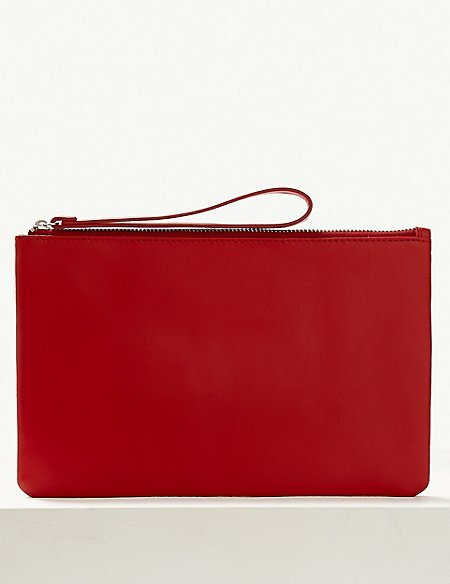 Equally if you want to invest some festive cheer into old wardrobe faithfuls then how about a pop of Christmas red with the above leather clutch. 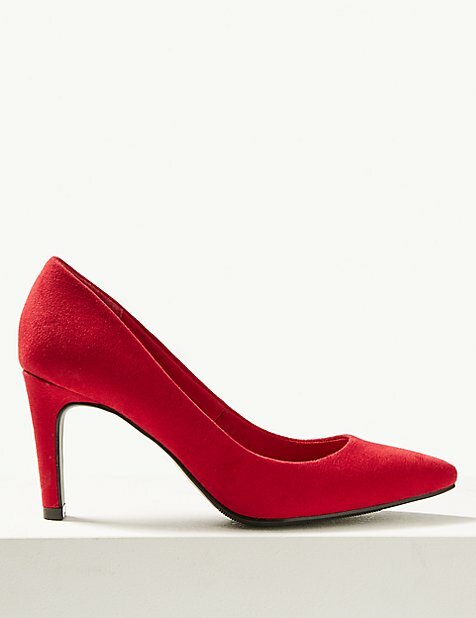 Which would be ideal for pairing with the above elegant court shoes. Back to today & it's all about the cashmere in a style I've never really worn & that's a hoodie. In the past I've felt they're not really me but I must admit to loving the cosiness factor of cashmere mixed with the casual style of a hoodie, which is ideal for casual weekend style & layering under a biker jacket. I've kept today's look really simple & teamed with a new long sleeved crew neck t-shirt, which is a great thickness & ideal for wearing as an extra layer like today, or for teaming under a blazer. In terms of sizing I went up a size in the t-shirt to a 10, which is available in a whole host of colours here & for the hoodie I'm wearing the small. So ladies how's your party outfits coming along? Have you got everything sorted & if so do you rely on old wardrobe faithfuls that have never let you down perhaps paired with some new accessories or are you planning on investing in a whole new look? I'd love to hear your plans. Have a great Sunday & don't forget it you're taking advantage of all the discount codes doing the rounds this weekend you can see my complete list here.